Nuclear bombs—with a few exceptions—are designed to create huge explosions. In some cases, they’re supposed to have extra bits and pieces in the service of making even HUGER (it’s a word now) explosions. Occasionally all of that fails, and what you get is called a “fizzle.” Here’s why it happens. 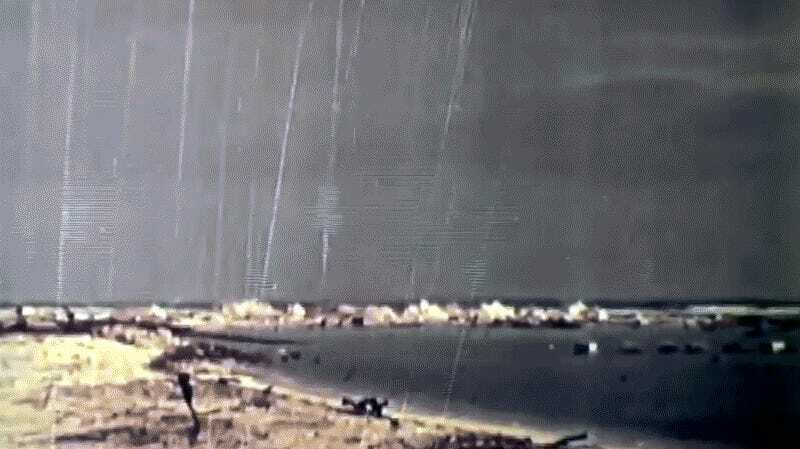 Operation Redwing came at the height of Cold War nuclear weapons testing in 1956. Detonating a whole bunch of nukes had, theoretically, two advantages. The first was that it let everyone else in the world know that you had a ton of nukes, in new and dazzling varieties. The other was that it let you physically test new nuclear designs in a world where the fastest computer couldn’t even play Pong yet. That’s where the Yuma shot came in. You would think that all nuclear designs would be relatively similar, in that if you wanted a bigger one, you’d just scale up the necessary components and if you wanted a smaller one, you’d just scale everything down. But that isn’t so. Smaller nuclear bombs can be more complicated in their designs, especially when scientists first got into things like boosted fusion. Boosted fusion weapons are a bit complicated and you should definitely read all about them, but suffice it to say they’re sort of an intermediary stage between a pure fission and pure fusion designs. Pure fission bombs split atoms (like the bombs that destroyed Hiroshima and Nagasaki) and pure fusion bombs use the heat and pressure of fission to smash atoms together (like Tsar Bomba, the biggest bomb ever detonated). Thus far, humans have only ever created the pressures and temperatures needed to induce a relatively large-scale fusion reaction in the nanoseconds after a fission bomb is detonated. Boosted weapons are mostly fission designs that throw in a tiny bit of fusion to really help get things going. Of course, “tiny” is relative here. It exploded with the equivalent force of 190 tons of TNT, which is still enough to destroy a couple of city blocks. What you’re seeing is the fission booster alone, having failed to trigger the greater fusion part of the design. Even though the Yuma shot didn’t work, the U.S. military eventually got its hands on an air-to-air nuke in 1957, with the MB-1 (later re-named the AIR-2 Genie). While it was tested once, thankfully it was never used to blast anyone out of the sky.